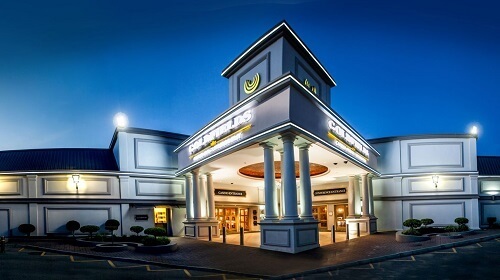 Goldfields Casino is the Free State’s premier entertainment destination, whether you’re looking to try your luck at the casino or for some live performance. Run by Tsogo Sun, visitors from outside town or those who live in Welkom can expect the best. Let’s take a look at what Goldfields has on offer. Enjoy the ultimate gambling experience at one of their 250 slot machines and nine gaming tables. Slots have a wide range of betting options from 2c to R25. Visitors can choose to play either poker, American roulette, and blackjack. The games are spread out between the main non-smoking floor, the smoking section, and Salon Prive. The Prive section is for VIP guest on the casino’s rewards programme. Inside these areas, visitors can enjoy the restaurants and bars serving delicious food and drinks. Meanwhile, the Salon Prive area has a bar and broadcasts sports channels for those who are fans of sports games. They have a number of casino events and promotions throughout the year. Visitors and interested players should check out their website to see what’s on offer while they’re there. Goldfields has two restaurants and a bar, each with something unique to offer. Billy G offers upmarket buffet-style dining for the whole family. It offers a wide selection of dishes, from succulent cuts of meat to seafood and vegetarian dishes. Also, it hosts themed buffet specials from Wednesdays to Fridays. Explorers Restaurant serves food breakfast, lunch, and dinner. It caters to the whole family and a wide variety of tastes and levels of hunger. Explorers even boasts having its own signature brand of coffee. Visitors on the rewards programme get great discounts on meals. Then there’s Celebrations Bar which provides a fantastic night out for sports fanatics. Visitors can enjoy a draft or cocktail, depending on their taste, and watch the biggest match of the night or day. For those visiting Goldfields with children, there’s the Fun Factory. There, visitors can drop off their children (those between ages six months to nine years old) with experienced nannies. Children can enjoy some games and programmes and are both educational and entertaining. They also plan and host children’s parties. Goldfields has a modern and well-equipped conference and event venue open for hire. It’s fully air-conditioned and is spacious. For bookings, contact them at goldfieldsconferences@tsogosun.com. For more on casinos in the Free State, stay with CasinoZA.